1. Lots of benefits near the point where the person has to make a decision to put in their email address. People are afraid you will spam them to death so you must make it extremely enticing for people to risk putting in their email address. 2. A blank field or fields that send the psychological message to the person looking at it that they should put something in the empty field. It's not a good practice to simply put a link to your opt in box or worse yet, have it as one of your regular navigation buttons. People will gloss over it there and many will never see it at all. 3. Not too many fields The more fields you require someone to fill in, the less people that will sign up. You may intentionally want less people to sign up if you have to follow up with them by phone and you don't have enough people to handle all your leads. Certainly the more info they are willing to fill out, the more qualified they are. When simply giving away a free digital newsletter or download you want as many people to sign up as you can, so less fields to fill out is a better idea. 4. 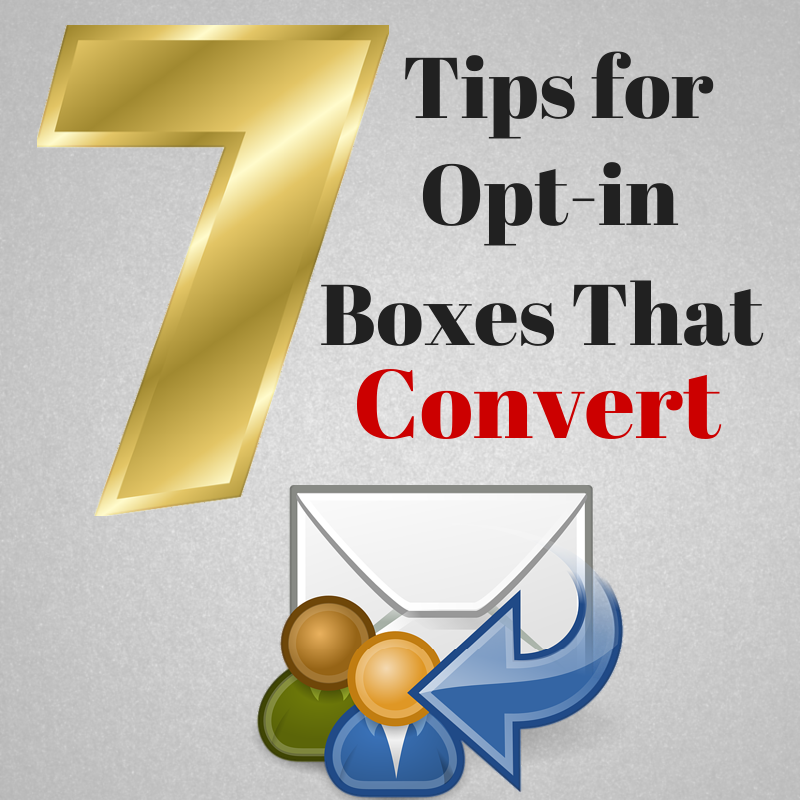 High on page Your opt in boxes should be positioned high on your page, so it can be seen on the first screen without scrolling. That doesn't mean you can't have additional signup areas further down the page, but in most cases we want at least one signup area on the first screen a visitor will land on. 5. Multiple locations Each page can have multiple locations to sign people up and you should have at least one sign up area on every major page of your site. Remember people can enter your site on any page. They may never see your home page so it's important to have signup areas all over the place. 6. Put the opt in form in an unblockable pop up box. This is a real attention grabber and forces the visitor to look at your opt in box. Unblockable pop up boxes are made with code called "Dynamic HTML" also known as "DHTML". You can buy inexpensive dynamic pop up box generators. Search google for them. Most will show you a sample of the type of boxes they will make. Some will drop in from the top of the page and bounce. Some will slide in from the left and leave to the right. Some will follow the visitor all the way down the page. You may want to set "cookies" on the boxes so they only show a limited amount of times for any particular visitor.